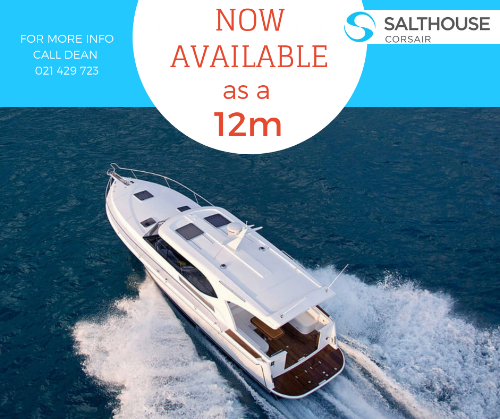 We now have the Yacht Collective Seeking Expressions of Interest – 1/6th Share of Brand New Salthouse Corsair 44 estimated cost $195,000 per share. The Yacht Collective offers the opportunity to be a part of a yacht syndication programme which gives clients a complete yachting experience without the added stress or hassles of sole boat ownership. * An annual use charge and rules relating to the allocation of boat use will likely apply if they proceed with an offer in accordance with the Financial Markets Act 2013 ("FMCA"). Other aspects of any final offer may differ from our original intent. financial products (including shares in the boat or any other financial products) cannot currently be applied for or acquired under their intended offer; and if an offer is made by The Yacht Collective, the offer will be made in accordance with the FMCA. 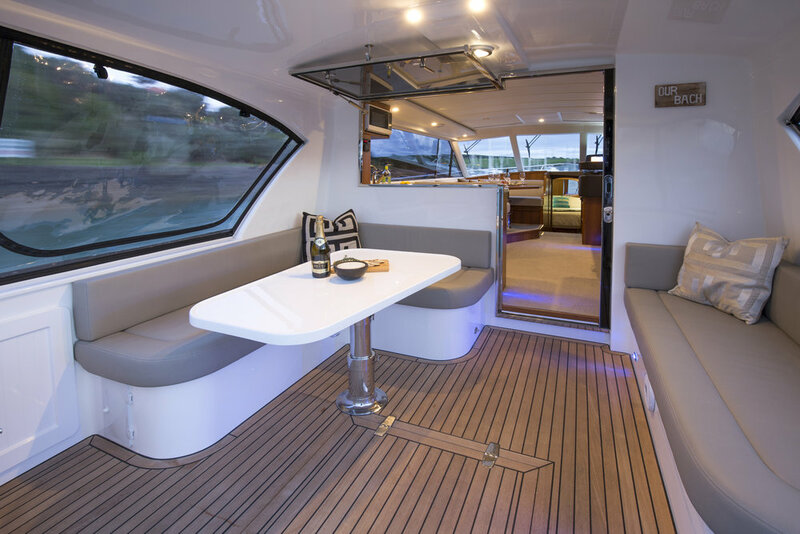 For further information, brochures and price lists for the new Hylas 48, please contact us. United States Powerboat Show - Hylas Power Yachts are once again giving you an opportunity to "get on board". We are excited to have on display the latest Salthouse Corsair 44C being marketed in the USA by Hylas Yachts Ltd as the Hylas M44. Make sure you drop by and say hello. Dean and the team from Hylas will be on hand to discuss your boating requirements. Call Dean on 21 429723 for more info. We are excited to have on display the latest Salthouse Corsair 44C. Make sure you drop by and say hello. Dean Salthouse and the team will be on hand to discuss your boating requirements. Times: from 10am every day. Closes at 6pm, Thursday through Saturday, and 5pm on Sunday. Gate prices: Adults $25 ($35 four-day pass), children under 15 enter free. The perfect social platform for enjoying the Miami yachting scene. The M44 is a spacious "Downeast" sedan styling with classic lines and a luxurious interior. Make sure you drop by and say hello. Dean and the team from Hylas will be on hand to discuss your boating requirements. You will find us at Ramp 1 : Slip 160. 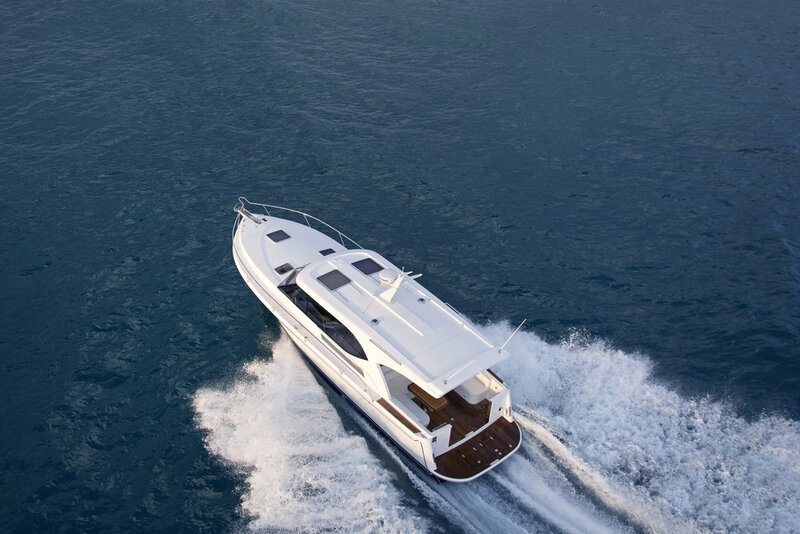 Salthouse Corsair Euro 44 - 1/2 Share - Price: $495,000 NZD - AVAILABLE NOW for your summer cruising. Dean is now working with Alistair at Hool Marine to offer you a full range of second-hand vessels. Give Dean a call on 021 42 97 23 to discuss your boating requirements. Being a qualified boatbuilder Dean can guide you to the right boat with his years of experience and hands-on knowledge. We will be regularly showcasing second-hand vessels on our Facebook page click the link here // Don't forget to like our page to keep updated! It's been one of the earliest and best summers we have had for many years here in Auckland. I hope you have been able to get out on the water and enjoy. We took delivery of our own Salthouse Corsair 44’ mid-year after the sale of our Salthouse 63’. While this is the 5th Salthouse Corsair 44 sedan version we have owned, having a couple of years in the bigger boat totally highlighted how good the Corsairs are and perhaps why they are without a doubt the most built powerboat hull in NZ history. We have enjoyed lots of fun times on the water this summer with family and friends. While out on the water I really noticed the presence of the various Corsair models wherever we went and it's very rewarding to think what Dad started all those years ago is still going strong.